According to Paul Williams, referring to Erich Frauwallner, mindfulness provided the way to liberation, "constantly watching sensory experience in order to prevent the arising of cravings which would power future experience into rebirths. "[note 3] Mindfulness is an antidote to delusion (Pali: Moha), and is considered as such one of the 'powers' (Pali: bala) that contribute to the attainment of nirvana. The faculty of mindfulness becomes a power in particular when it is coupled with clear comprehension of whatever is taking place. According to Vetter, dhyana may have been the original core practice of the Buddha, which aided the maintenance of mindfulness. Nirvana is a state of being in which greed, hatred and delusion (Pali: moha) have been overcome and abandoned, and are absent from the mind. The Buddha advocated that one should establish mindfulness (satipaṭṭhāna) in one's day-to-day life, maintaining as much as possible a calm awareness of one's body, feelings, mind, and dharmas. The practice of mindfulness supports analysis resulting in the arising of wisdom (Pali: paññā, Sanskrit: prajñā). [note 5] A key innovative teaching of the Buddha was that meditative stabilisation must be combined with liberating discernment. The Satipaṭṭhāna Sutta (Sanskrit: Smṛtyupasthāna Sūtra) is an early text dealing with mindfulness. Vipassanā (Pāli) is commonly used as a synonym for vipassanā-meditation, in which satipatthana, four foundations of mindfulness or anapanasati, "mindfulness of breathing," is used to become aware of the impermanence of everything that exists. Vipassanā in the Buddhist tradition means insight into the true nature of reality. Vipassanā is commonly used as one of two poles for the categorization of types of Buddhist practice, the other being samatha (Pāli; Sanskrit: śamatha). Though both terms appear in the Sutta Pitaka[note 6], Gombrich and Brooks argue that the distinction as two separate paths originates in the earliest interpretations of the Sutta Pitaka, not in the suttas themselves. [note 7] Various traditions disagree which techniques belong to which pole. According to the contemporary Theravada orthodoxy, samatha is used as a preparation for vipassanā, pacifying the mind and strengthening the concentration in order to allow the work of insight, which leads to liberation. In Buddhist practice, "mindfulness" also includes samprajaña, meaning "clear comprehension" and apramāda meaning "vigilance". [note 8] All three terms are sometimes (confusingly) translated as "mindfulness", but they all have specific shades of meaning. In the Satipaṭṭhāna Sutta, sati and sampajañña are combined with atappa (Pali; Sanskrit: ātapaḥ), or "ardency,"[note 10] and the three together comprise yoniso manisikara (Pali; Sanskrit: yoniśas manaskāraḥ), "appropriate attention" or "wise reflection." Jay Garfield, quoting Shantideva and other sources, stresses that mindfulness is constituted by the union of two functions, calling to mind and vigilantly retaining in mind. 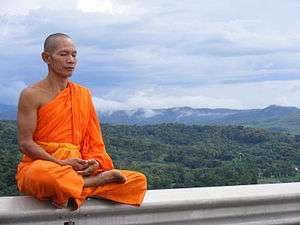 He demonstrates that there is a direct connection between the practice of mindfulness and the cultivation of morality – at least in the context of Buddhism from which modern interpretations of mindfulness are stemming. According to Nan Huaijin, the Ekottara Āgama emphasizes mindfulness of breathing more than any of the other methods, and provides the most specific teachings on this one form of mindfulness. ↑ In the Pali canon, the instructions for anapanasati are presented as either one tetrad (four instructions) or four tetrads (16 instructions). 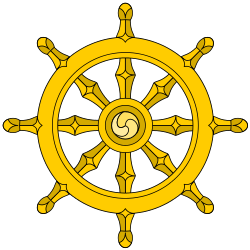 The most famous exposition of four tetrads – after which Theravada countries have a national holiday (see uposatha) – is the Anapanasati Sutta, found in the Majjhima Nikaya (MN), sutta number 118 (for instance, see Thanissaro, 2006). Other discourses which describe the full four tetrads can be found in the Samyutta Nikaya's Anapana-samyutta (Ch. 54), such as SN 54.6 (Thanissaro, 2006a), SN 54.8 (Thanissaro, 2006b) and SN 54.13 (Thanissaro, 1995a). The one-tetrad exposition of anapanasati is found, for instance, in the Kayagata-sati Sutta (MN 119; Thanissaro, 1997), the Maha-satipatthana Sutta (DN 22; Thanissaro, 2000) and the Satipatthana Sutta (MN 10; Thanissaro, 1995b). ↑ Sharf, Robert (October 2014). "Mindfulness and Mindlessness in Early Chan" (PDF). Philosophy East and West. 64 (4): 943. ISSN 0031-8221. Retrieved 2015-12-03. Even so, your Majesty, sati, when it arises, calls to mind dhammas that are skillful and unskillful, with faults and faultless, inferior and refined, dark and pure, together with their counterparts: these are the four establishings of mindfulness, these are the four right endeavors, these are the four bases of success, these are the five faculties, these are the five powers, these are the seven awakening-factors, this is the noble eight-factored path, this is calm, this is insight, this is knowledge, this is freedom. Thus the one who practices yoga resorts to dhammas that should be resorted to and does not resort to dhammas that should not be resorted to; he embraces dhammas that should be embraced and does not embrace dhammas that should not be embraced. 1 2 Williams 2000, p. 46. ↑ Lecture, Stanford University Center for Compassion and Altruism Research and Education, c 18:03 Archived November 20, 2012, at the Wayback Machine. ↑ Monier-Williams Online Dictionary. N.B. : these definitions are simplified and wikified. ↑ Bernhard Karlgren, 1923, Analytic Dictionary of Chinese and Sino-Japanese, Paul Geunther, p. 207. Dover reprint. ↑ William Edward Soothill and Lewis Hodous, 1937, A Dictionary of Chinese Buddhist Terms: with Sanskrit and English Equivalents and a Sanskrit-Pali Index. ↑ "Essentials of Mahamudra: Looking Directly at the Mind, by Khenchen Thrangu Rinpoche". Amazon.com. Retrieved 2013-05-30. ↑ Geoffrey Samuel, Mindfulness or Mindlessness: Traditional and Modern Buddhist Critiques of "Bare Awareness"
↑ Nan Huaijin. Working Toward Enlightenment: The Cultivation of Practice. York Beach: Samuel Weiser. 1993. pp. 118-119, 138-140. ↑ Nan Huaijin. Working Toward Enlightenment: The Cultivation of Practice. York Beach: Samuel Weiser. 1993. p. 146. ↑ Siegel, D. J. (2007). "Mindfulness training and neural integration: Differentiation of distinct streams of awareness and the cultivation of well-being". Social Cognitive and Affective Neuroscience. 2 (4): 259–63. doi:10.1093/scan/nsm034. PMC 2566758 .